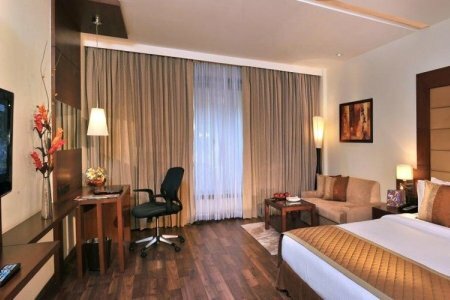 Located 15 kilometres from Indira Gandhi International Airport (DEL), the Country Inn & Suites® by Radisson, Gurgaon Sector 12 is ideal for business and leisure. 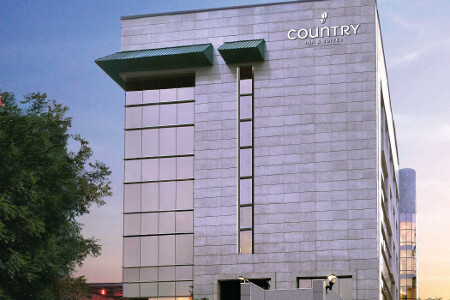 DLF Cybercity, home to the corporate offices of Google, Samsung and many others, lies just 15 minutes away. After handling business, treat yourself to a shopping spree at Ambience Mall or some hiking along Damdama Lake. Mosaic, one of our two on-site dining options, serves a complimentary, hot breakfast each morning along with international entrees and à la carte items throughout the day. 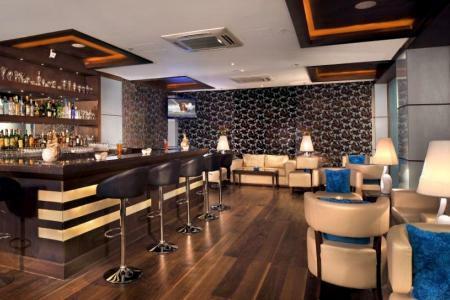 Our 60ml Bar & Lounge provides a modern setting of rich brown hues and is the perfect place for an evening cocktail and tasty snacks. Feel free to pre-book your meals or dine in your room. Sheetla Mata Temple – Located about five minutes from the hotel, this temple named for the goddess Mata Sheetla Devi is dedicated to helping sick children. Make your way through this expansive complex to marvel at the architecture and gain a sense of peace. The weekends are typically more crowded, so plan your visit accordingly. Ambience Mall – Spoil yourself with a trip to this mall about 13 kilometres from the hotel. Filled with popular local and international brands like Pantaloons, Nike and Tommy Hilfiger, the mall offers something for everyone. Cap off your splurge with a few frames at the mall’s bowling alley. 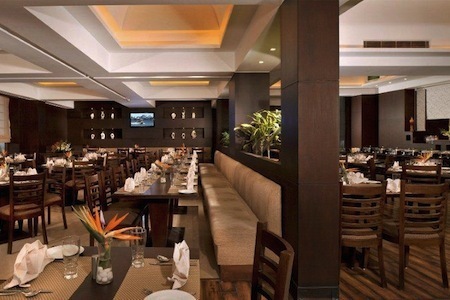 New Delhi – The excitement of India’s capital city is only 30 kilometres from our hotel. Head into this vibrant area to sample fine cuisine at Chandni Chowk and peruse the shops at Connaught Place. For a memorable trip, view the collection of arms and armour at the National Museum—which includes the inscribed bow of the final ruler of the Mughal dynasty. With space for 200 guests, our Tuberose meeting room is well-suited for your banquet, wedding reception or business seminar. 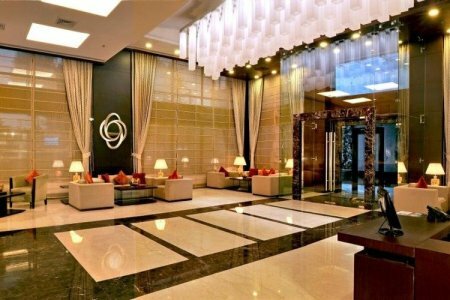 We offer thoughtful amenities like a business centre, free Internet and on-site catering in addition to a convenient location near the DEL airport.